Now we are almost into the month of December,. My Christmas cards are mailed. The Christmas decorations are out. Presents are bought and wrapped (I hope -I am writing this post in early November), and I have mostly moved on to mostly other things than Christmas cards. When I was at the York Heirloom show and shopped at Pat Huntoon's Technique Junkie booth I bought some new stamps. I am only now getting to make cards with these. This is one of those new stamps I bought. Then I must also confess - sometimes as stampers we just hit a dry spell, when we cannot think of a new card layout or a new placement of element on the front of the card. There are some things you can do about this when it hits. You can give up until inspiration hits you. That is not a good option in my opinion although it has happened tome this way in the past when I have been ill for a while. Or you can look for new card front layouts and new ways of presenting the focal image. There are lots of places on the internet to do this. I subscribe to a lot of blogs for this purpose. I follow those blogs whose author pays attention to detail and the way they create fits my own creative thinking. Sometimes they do not show cards with stamps I like (or own for that matter) but I will like the layout. I will save those images. 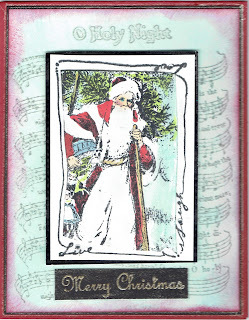 You can look on Splitcoast Stampers for cards made with a specific stamp set or with a particular theme or subject matter in their search box. I have searched both ways. And in the last few years you can look on interest. I rarely just "go" to Pinterest but use the email they send me to find new things. And that was how I found this layout. I thought it was perfect for this stamp set from Technique Junkie Stamps! The Technique Junkie focal image stamp set is The Rules - http://techniquejunkies.com/the-rules/. I also used the Vintage Dictionary stamp http://techniquejunkies.com/vintage-dictionary-page/ for punching out the small squares. Then I stamped - Love My Shoes http://techniquejunkies.com/love-my-shoes/ . I only colored in the flowers because most of the shoe image would be tossed away. 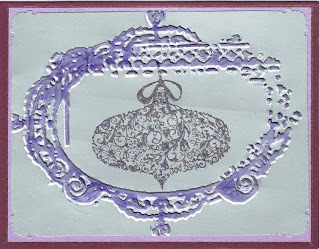 I used a small flower punch and ;punched out an area within the stamped flower image. All stamped images were colored in with Copic Markers. 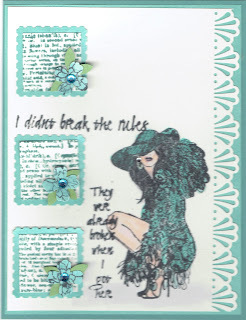 I used a border punch and 2 layering square punches. 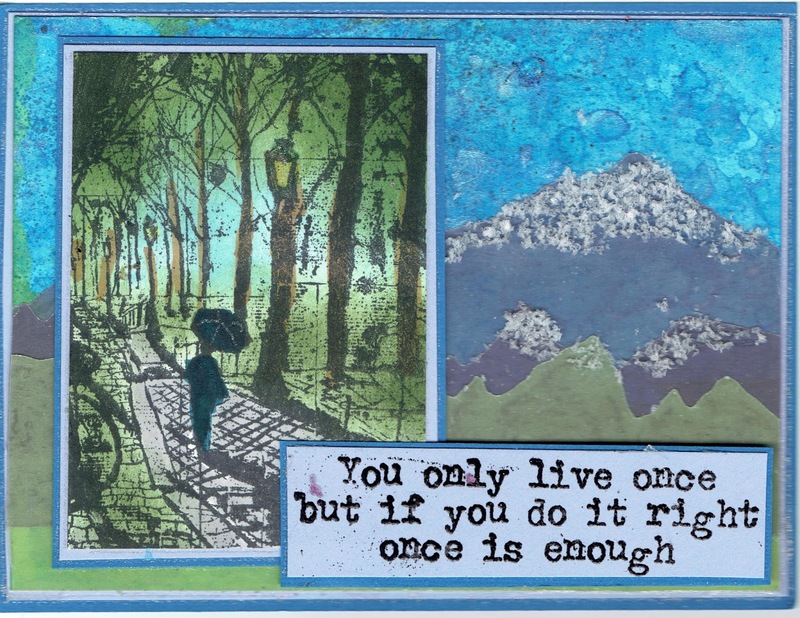 I stamped the lady first, then placed the layered squares, and then stamped the two sentiments. I swiped my Winkastella pen the dress and the hat, and the decorative part on the shoes. I have two more for you today using the Technique Junkie November Release of Park Walk . I also used some "mountain die cuts" I recently was able to purchase at the York Heirloom stamp show. This is the first card to show you today. I used the dies and cut colored vellum - using green for the hills in the foreground and purple for the mountains in the distance. I layered them on top of each other to create depth. 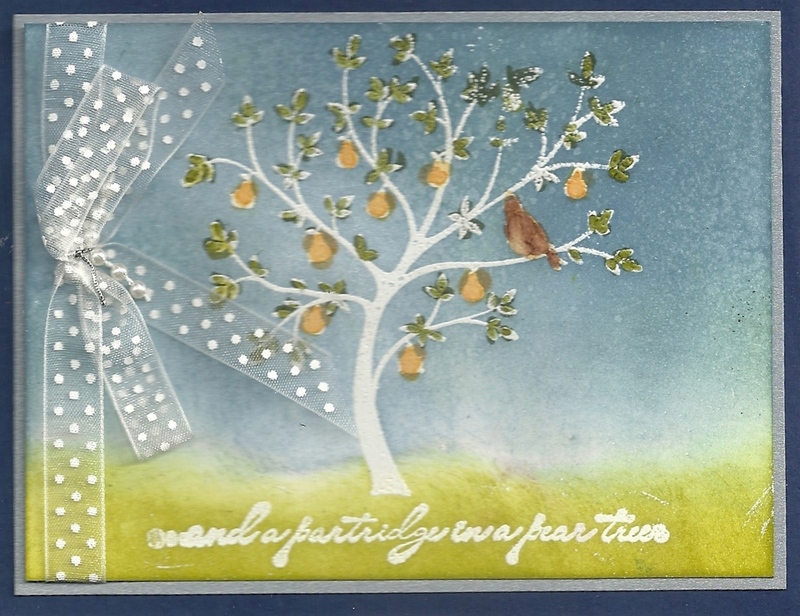 I used Antique Glimmers of white card stock for the sky. 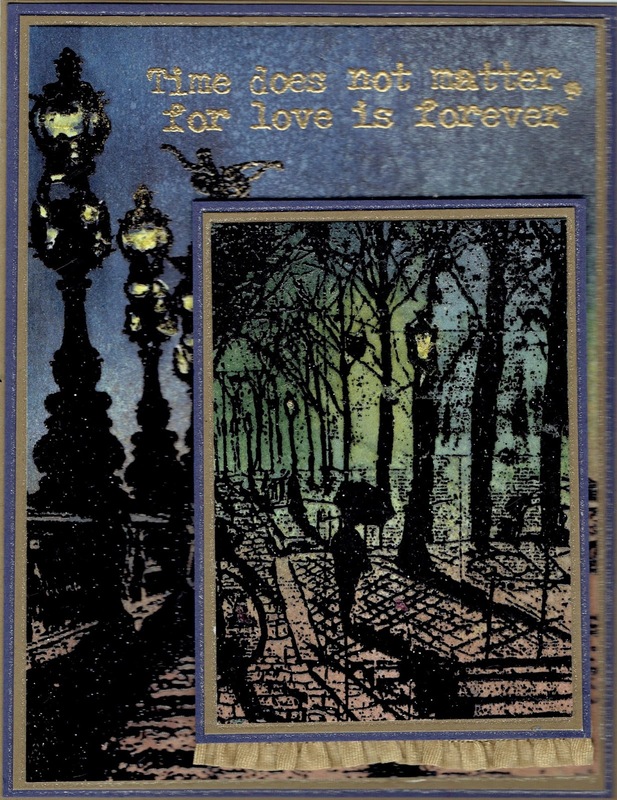 I colored the Park Walk image with Art Anthology Colorartions sprays and you can find them on this web page - http://techniquejunkies.com/products-and-accessories/art-anthology-products/ . I sprayed the bottom of the focal image of Park Walk. I used the Coloration spray to give a "glow" on the focal image. I sponged green ink on the trees, and darker blue ink at the edge of the sky of the focal image. I used a sentiment from the set Mae West Sentiments http://techniquejunkies.com/mae-west-sentiments/ and heat embossed it. I also used a chalk marker to color in the snow on the mountains. And now for the vest similar second card! Almost everything is the same -- except the orientation and this time I used Flower Soft on the mountain's. So which card do you prefer? The card with the focal image on the right or on the left? The card with the chalk marker or the card with Flower Soft? Have a wonderfully inky day and a terrific Thanksgiving tomorrow! I am show casing a new stamp from the Technique Junkie Stamps November Release. It is called Park Walk . Today I will be showing two VERY similar cards using this stamp and the stamp Pont Alexandre III http://techniquejunkies.com/pont-alexandre-iii/. The first card also uses Celebrate in Style . I used Art Anthology Colorartions sprays and you can find them on this web page - http://techniquejunkies.com/products-and-accessories/art-anthology-products/ . 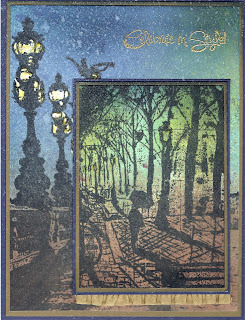 I sprayed the bottom of both the background stamp of Pont Alexandre III and the smaller focal image of Park Walk. 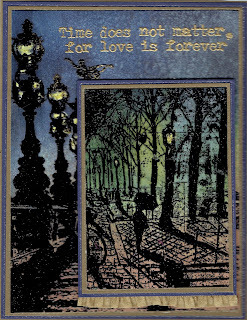 I used the Art Anthology gel medium in a yellow tone to paint in the street lamps. I used the Coloration spray to give a "glow" on the focal image. 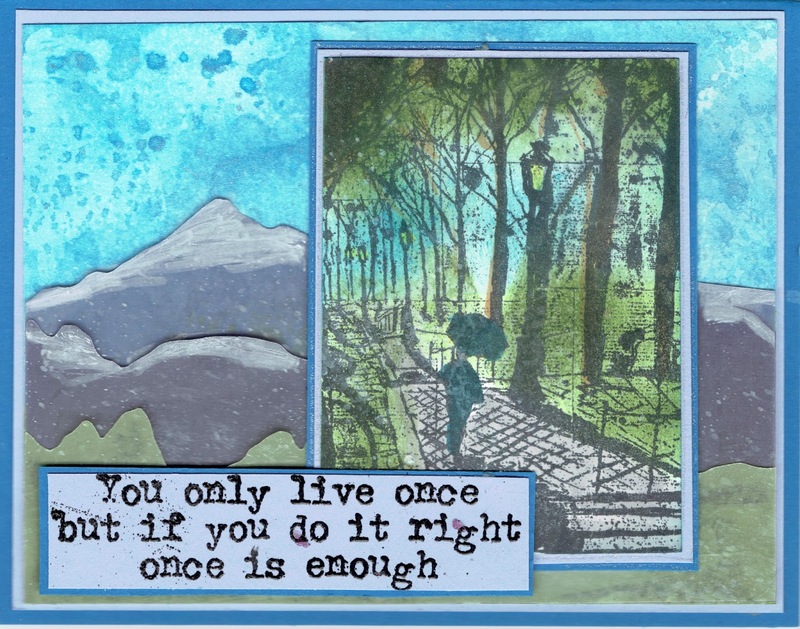 I sponged navy blue ink on the background image, green ink on the trees, and navy ink at the edge of the sky of the focal image. I added some glimmer sprays to both parts of this card to add some glimmering stars in the night sky. 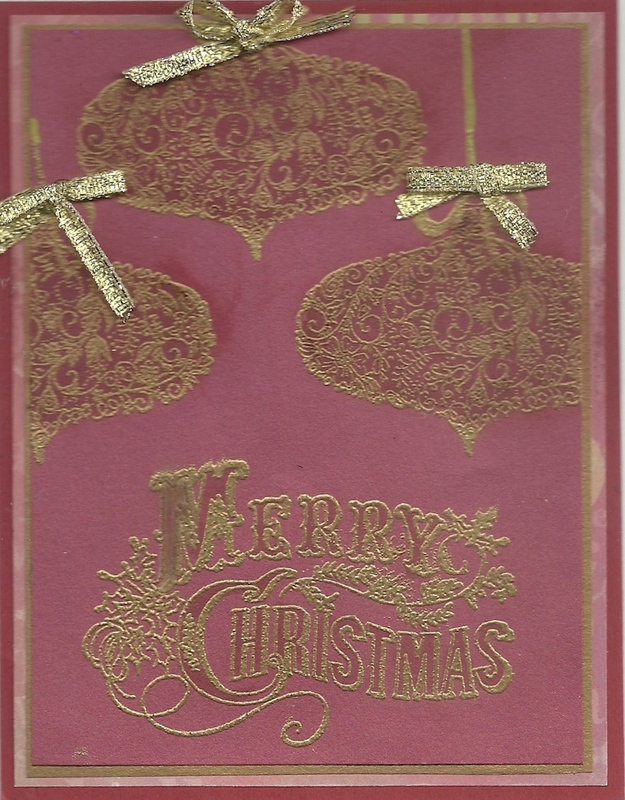 The verse at the top of the card was heat embossed in detail gold powder. I added a ruffled ribbon at the bottom of the smaller focal image. The next card is "almost the same." The Pont Alexandre II stamp was inked up with Versafine Black ink, and then I used detail black embossing powder and heat embossed it. 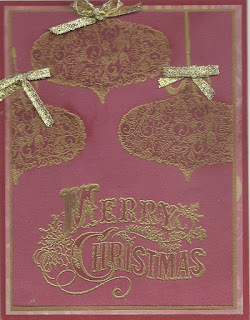 I used a verse from Mae West Sentiments -http://techniquejunkies.com/mae-west-sentiments/ and heat embossed it in detail gold powder. Al of the other elements are the same. I am wondering which card do you like the best? Since they are so similar it is difficult for me to tell. Have a wonderful day! I have a large extended family and we live close enough that we often are together for Thanksgiving. I am the "usual" hostess for Thanksgiving every year. We all do our thing for Christmas. This year our familial group will be smaller than it has been for years because other extended family units will be elsewhere --and for a variety of reasons. One of the great nieces has a first baby due to arrive on Thanksgiving Day! So her Mom and Dad and many of her siblings will also be there instead of here. Other family members are in Australia and New Zealand, and their children are are with their in-laws. And other family members will be with family elsewhere. So we only have 14 here this year. Most years we have close to 30 or more. Therefore place cards are a necessity for seating in tight quarters. Depending on the year and who all is coming, I may or may not have enough place cards from previous years. This is one of those years. So I needed to make new ones. Since Thanksgiving is next week, this years place cards needed to be EASY! And these are that for sure! I saw the pumpkin pie somewhere on line. There were no instructions and it was on a regular card. I thought I could figure it out. I had to do some trial and errors with different things. But here is what I finally did. 1. I cut an 8 1/2 by 11 inch sheet of crushed curry card stock in four pieces and folded each piece in half on the longest side. 2. I stamped the Scripture verse from Our Daily Bread Stamps at the bottom. 3. I stamped each name in the top right hand corner. I used PegZ alphabet stamps to create each name. 4. 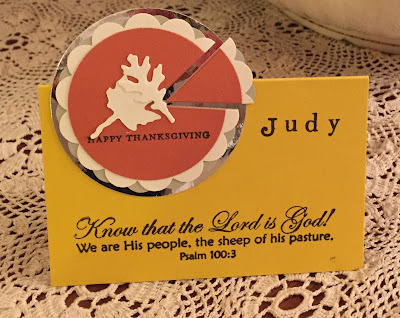 I used a "Happy Thanksgiving" stamp from Stampin' Up! on the pie after I cut the slice out. 6. I assembled the pie first. Sahara Sand on the bottom then off set with the Very Vanilla scallop punch outs. Then the Really Rust circle in the center. 7. I punched out a scrap color with the 2 inch circle punch. And because I have forgotten all of my geometry and how to figure out the center of a circle, I cheated. I used my scoring tool and scored the circle at one inch, then turned it and scored again at one inch, and so on until I had the section of the pie to cut out clearly marked. Then I cut out the section of the pie, and use the rest as the template. I drew faint pencil lines to show where to cut on my "pie." I cut out the piece of pie. Then I adhered the rest of the pie on the silver pie pan. I "pulled out" the piece of pie on the edge and adhered it. 8. Then I used glue dots to adhere the pie to the place card - making sure that the words were straight. 9. I used scraps of very vanilla from punching out the scalloped circles and covered the smallest leaves on the die I chose. I used Winka Stella on the top of the leaves to resemble sprinkled sugar on the pie crust leaves. And now here are all of the place cards together. 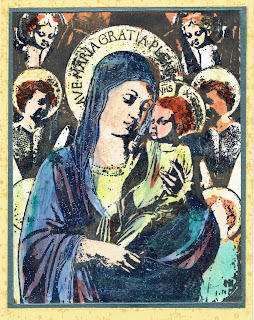 This is another simple and flat Christmas card with no extra postage required. First I cut background paper to 4x5 1/4 inches. Then i cut each piece in half at the 2 inch mark. 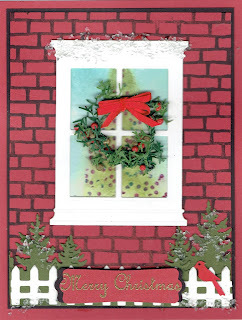 I stamped the three layers of the Wonderful Wreath from Stampin' Up! to create the wreath. And I used the companion die set to cut out the wreath. I stamped the bow on dotted red background card stock. Then cut them all out using the matching die for the bow. I misted the wreath and the background papers with glimmer spray. I adhered to the wreath to a piece of vellum 3 12 x 4 inches. Then I used adhesive on the back of the vellum where the wreath was adhered to the front of the vellum. I hope you like this card! One More Technique Junkie Christmas Card! 30 Days of Christmas - Day 30!! I have 2 more Christmas cards for you. All of these Technique Junkie stamps were part of the September Release. 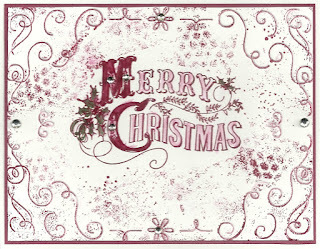 Are your fingers inky yet from making your Christmas cards! Mine sure have been! 30 Days of Christmas Day 26 - Technique Junkie Stamps!!! blog http://techniquejunkies.blogspot.com/ on the various Design Team member's personal blogs. 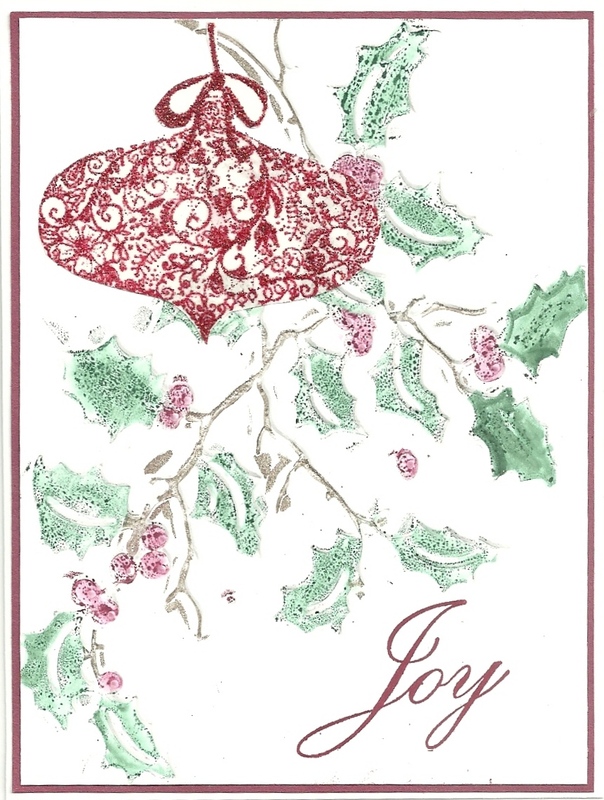 In addition to the inspiration, ALL Technique Junkies Christmas Stamps are on sale at 20% off. Simply use the word Christmas at checkout for your discount. I used a variety of things to color in this Technique Junkie Stamps image. First I colored all of the "skin" parts with my Copic markers. Then I used Splash Art Anthology Gel Medium over the skin to create an element of resist. Then I used other Art Anthology Gel Medium paints to color the halos, the clothes, the wings, etc. leaving very little unpainted surface. However, there was some and those areas were spritzed with a couple of colors of the Art Anthology sprays, and then quickly with a paper towel to absorb any extra spray. The simplicity of just the focal image appeals to me this year. Have a wonderful stamping day! All children are precious, aren't they? 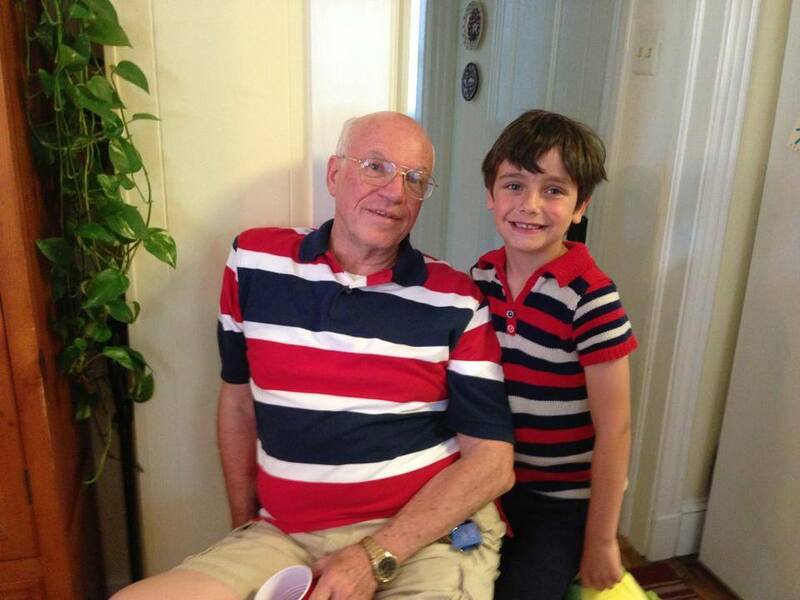 But when they are your own children or grandchildren, they just seem to be more precious. So it was on this particular morning, after her breakfast Little Missy came into my bedroom while I was doing a breathing treatment. The first thing she likes to do -- after saying hello and having a small conversation as she is only 2 - is climb up on my bed and rearrange the pillows to suit her liking on any given morning. On this particular morning, this occurred over and over until she had not only rearranged the pillows but had also brought along several friends to sit with. When you have have a two year to photograph - you better be quick. Otherwise, they will up and gone to something else almost before you can blink your eye! 30 Days of Christmas Day 23 - Technique Junkie Stamps!!! blog http://techniquejunkies.blogspot.com/ on the various Design Team member's personal blog. Triangles of background paper from Tim Holtz help to carry this theme of St. Nicholas. Lots of layers add to the dimension and interest of the card. 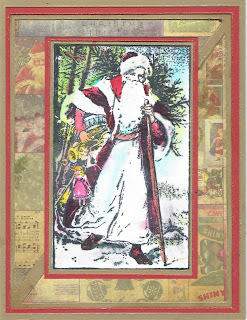 Do you have any vintage St. Nicholas stamps in your own Christmas rubber stamp collection? If not, this is a terrific to add to your Christmas collection of rubber stamps. Have a wonderful inky day! Pillows have been on my mind for the past few weeks. Pillows from Ron's shirts that is. I asked the kind folks at the Bernia store in Hanover, PA to embroider a statement of prose on his old shirts. Then those shirts were made into pillow covers (all removable and washable!) and one ball. One shirt pillow has part of another shirt attached to the new pillow cover. These items were made for our grandchildren and our great, great niece and nephews. The internment for Ron was this past Sunday afternoon, and afterwards we all had dinner at the Old Country Buffet. I wanted these young children to have a very tangible and personal thing from Ron -- their Poppa or Uncle. Ron was a well-loved man! items were made for our grandchildren and our great, great niece and nephews. The internment for Ron was this afternoon and afterwards we all had dinner at the Old Country Buffet. I wanted these young children to have a very tangible and personal thing from Ron -- their Poppa or Uncle. Ron was a well loved man! I was blessed to be married to Ron for nearly 47 years. His death has left a huge hole in the hearts of many people -- not the least is my own heart. 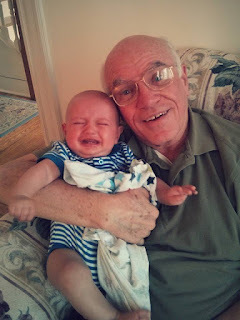 So this blog post is a sharing from my heart moment. In addition to the inspiration, ALL Technique Junkies Christmas Stamps are on sale at 15% off. Simply use the word Christmas at checkout for your discount. Then I stamped the Technique Junkie Stamps Christmas ornament stamp http://techniquejunkies.com/ornament-1/ in the center of the frame. 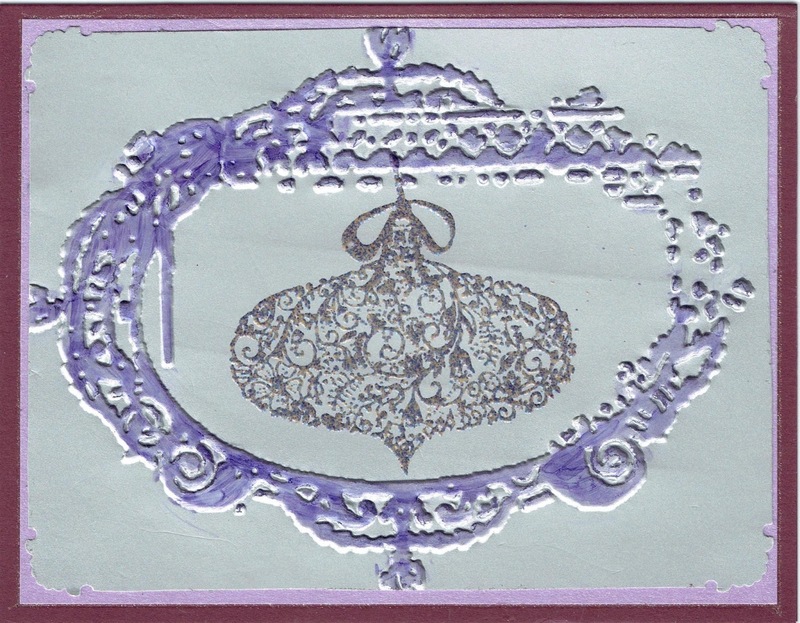 I used a purple embossing powder and heat set it. Done! Have a great stamping day! 30 Days of Christmas Day 18 - Technique Junkie Stamps!!! AND November Release Blog Hop! Today is November 1, 2015 and on the first of each month, the Technique Junkie Design Team hosts a blog hop for the newly released stamps. You should have come to me from Jerri Jones at http://www.abushelandahug.blogspot.com . You can always start at the beginning of the Technique Junkie Stamps November Release Bog Hop http://techniquejunkies.blogspot.com. And remember all November released stamps are on sale from November 1 to November 8. 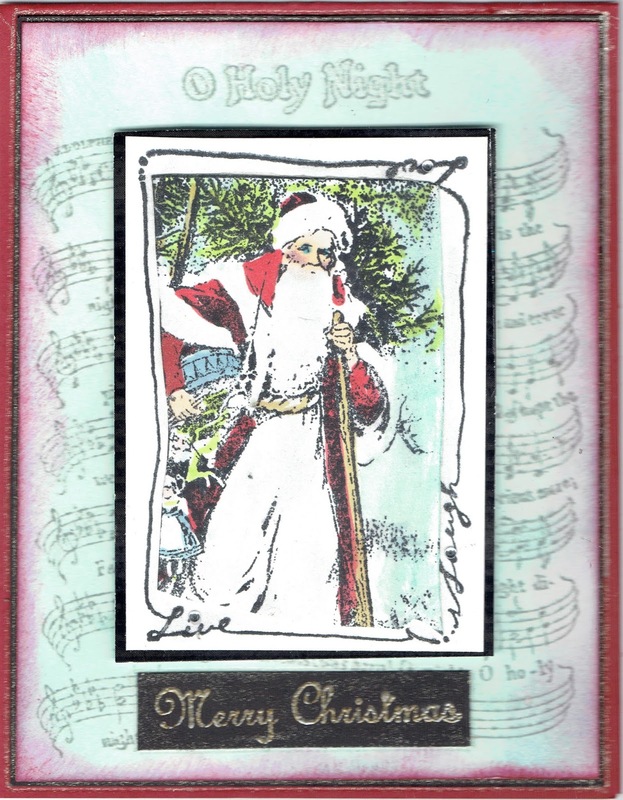 However, we are also in the midst of the 30 Days of Christmas challenge to make lots of Christmas cards using ONLY Technique Junkie stamps. Since today is a "double day" I decided to do both -- and I am show casing two November release stamps and showing you four Christmas cards using those two newly released stamps. Not all of the November Release stamps are suitable for Christmas cards. Therefore, you may find that not all of the Design Team will show you Christmas cards during this Blog Hop. blog http://techniquejunkies.blogspot.com/ on the various Design Team member's personal blog. 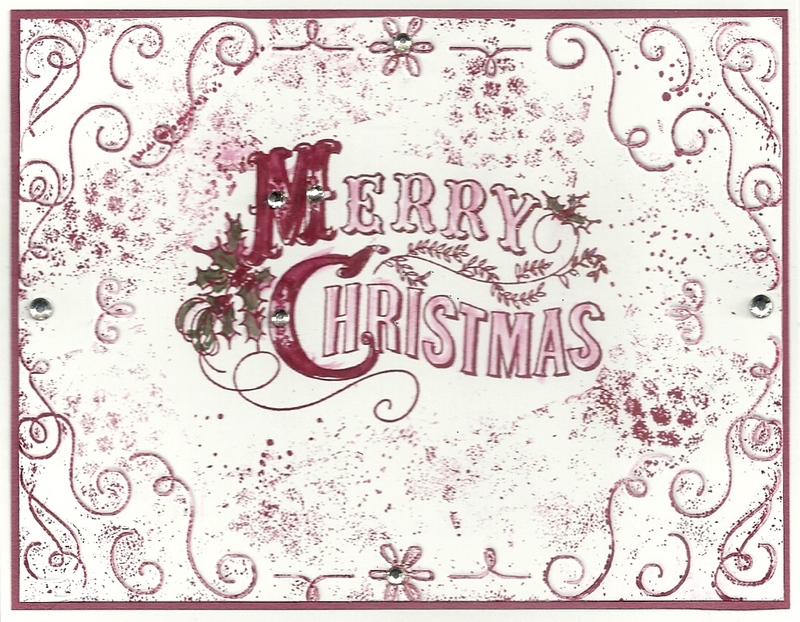 In addition to the inspiration, ALL Technique Junkies Christmas Stamps are on sale at 20% off. Simply use the word Christmas at checkout for your discount. And the November Release stamps are 15% off until November 8, 2015. The November release stamps I am using are: SD662 Live Laugh Love Frame http://techniquejunkies.com/live-love-laugh-frame/ and S646 Brick Wall http://techniquejunkies.com/brick-wall-background/. The first two cards I am showing you feature the new November Technique Junkie Stamps release of a frame stamp - SD662 Live Laugh Love Frame. Doesn't that sentiment fit the Christmas season beautifully? 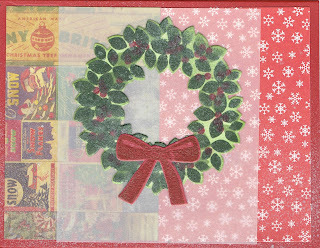 On the first card I paired 3 obviously "Christmas" Technique Junkie Stamps - Ornament 1 http://techniquejunkies.com/ornament-1/ , Merry Christmas 2 http://techniquejunkies.com/merry-christmas-2/, and Draped Christmas http://techniquejunkies.com/draped-christmas/. 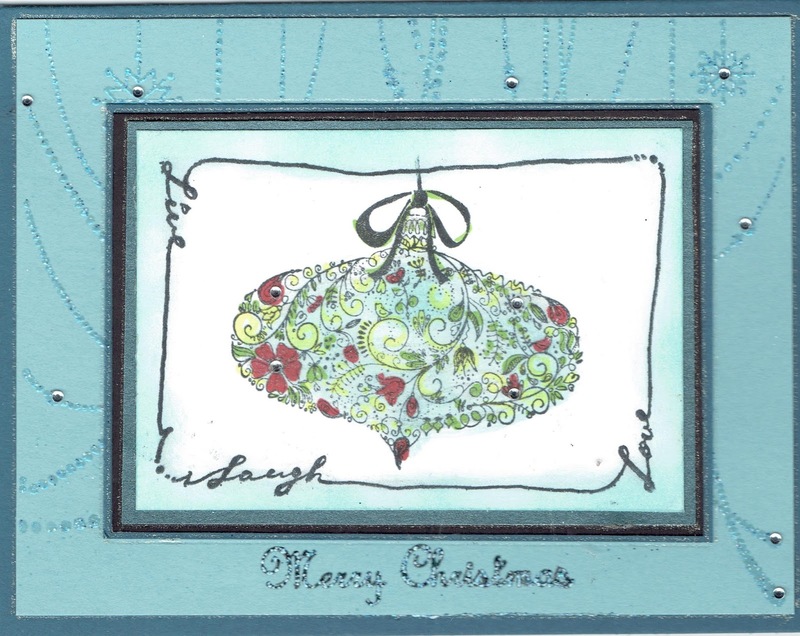 I heat embossed the Draped Christmas with a blue embossing powder and then added a few tiny rhinestones. I colored in the details of the ornament with my Copic markers. This second card features 3 Technique Junkie Christmas Stamps as well. I used Merry Christmas 2 http://techniquejunkies.com/merry-christmas-2/, Father Christmas http://techniquejunkies.com/father-christmas/, and http://techniquejunkies.com/o-holy-night/. I stamped Oh Holy Night in a pale gray ink on white paper. I wanted to use a TJ background stamp but I wanted it to be in the "background" and not in the forefront. The focal image is colored in with Copic markers. Frame stamps are fun to use because they challenge your brain to answer the questions --what will fit in this space, what makes sense to put here, and how can I use it? Exercise your brain and use a frame stamp!! My next two cards for you today feature the Technique Junkie Stamps November release of S646 Brick Wall. And walls are a part of something, right? usually in a house, a garage, a barn, a fence, or some other kind of structure. I chose to think of this Brick Wall as part of a house -- inside and outside! 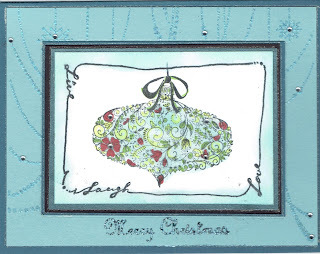 Both of these cards also use Technique Junkie Stamps Merry Christmas 2 http://techniquejunkies.com/merry-christmas-2/ . This first card also uses the Technique Junkie Stamps Wood - http://techniquejunkies.com/wood/. I only used part of the stamp and created a mantle. 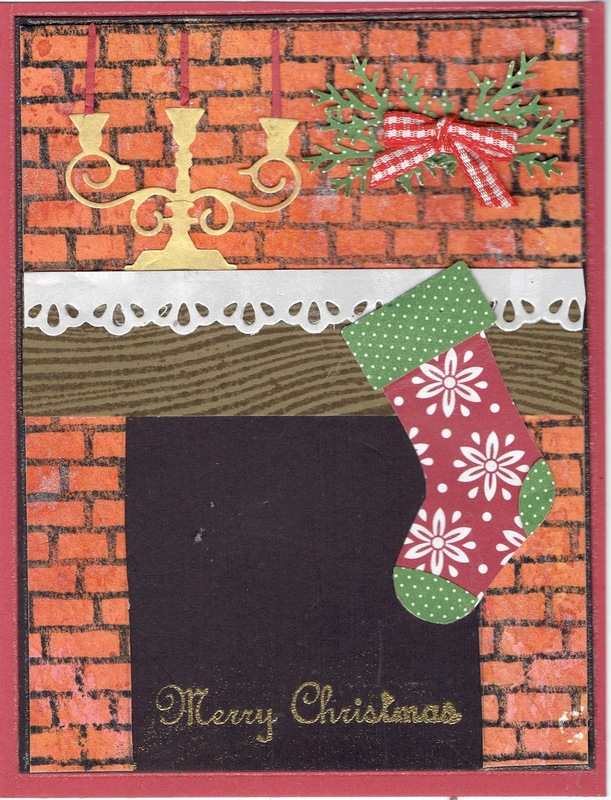 I also used a variety of punches and die cuts to create the fireplace scene. To create the opening for the fireplace I used a ruler and measured in a little more than 1 inch from the edge and up about 2 1/4 inches and drew the lines with a pencil -- and then cut out the space. I layered the brick fireplace on black card stock. I used my Winka Stella to create a glow in the fire place. To get the looks of the brinks in natural variation of bricks -- I used (are you ready for this?) the Antique Glimmers technique. 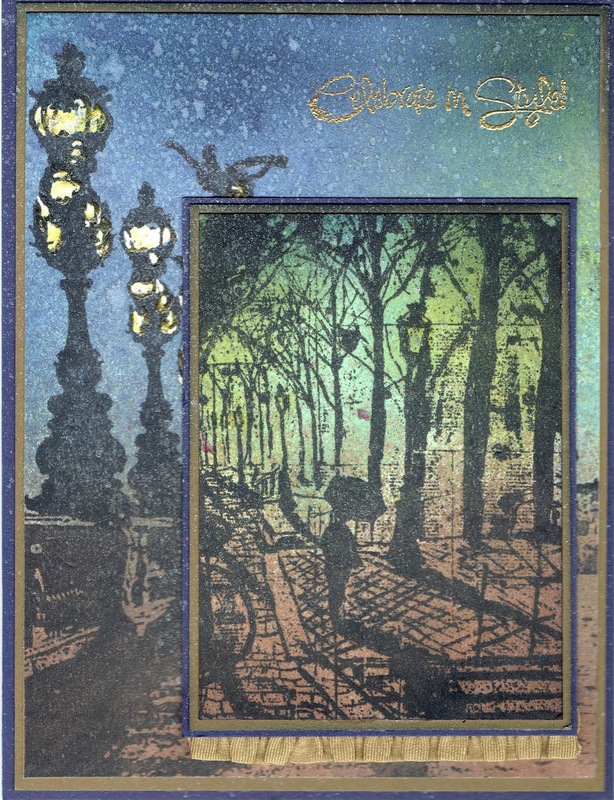 I did it twice on the same paper because the first try was a little too flat and the colors merged too much, so I put down different shades and liked the end result of double dipping into Antique Glimmers on my craft mat. 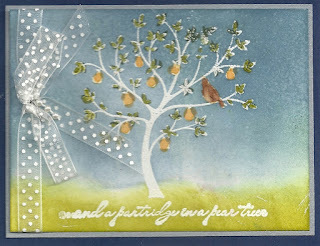 And again I used several die cuts or punches to create this card. The wreath on the window is not a die cut or a punch. A locally owned small craft supply store (not a big box store!) sells a variety of ready made seasonal things that look "home made" but also sells a number of seasonal things to create your own home made decorations. When I know I will need some type of small seasonal stuff for cards, I go there first. Several years ago I bought this greenery roping with the berries already on it. 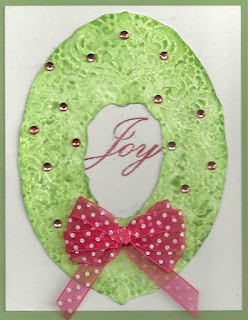 The greenery and berries were small so they were perfect for Christmas wreaths on cards. I tied a small double bow and put it all together with glue dots. I dabbed some liquid glue on the top of the window frame, the small bushes in the front and on the ground next to the fence at the bottom of the card. Then I sprinkles on chunky glass glitter like stuff called Roxs made by Judikins. I shook off the excess and let it dry. There are similar products on the market made by a variety of manufacturers. Please enjoy the rest of the November Release Blog Hop. I know everyone will have wonderful creations for you to view as Eye Candy! I have include all of the Design Team in the Hop below. 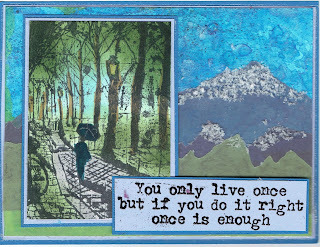 Your next blog hop stop will be with Marilyn Hughes at http://DollsEtc.blogspot.com . All of the Technique Junkie Design Team members hope we have inspired you today! Have a great inky day!